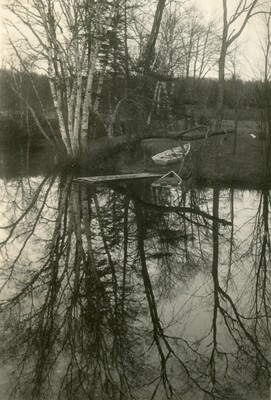 A scanned black and white photograph shows a body of water. There are trees on the shore line, and the trees are reflected on the water. There are two boats docked on the shoreline, near a dock. A written caption "Goose River, Belfast" is written near the photograph.